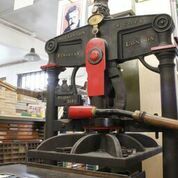 Paekakariki Press is a letterpress printing workshop in Walthamstow—the birthplace of William Morris. 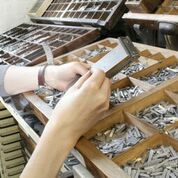 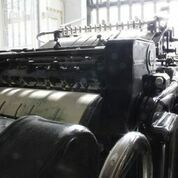 In the current digital age with everything on screen there is a growing desire to get back to the physicallity of simply pressing letters onto paper. 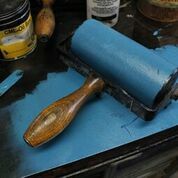 Come to a Paekakariki Press Letterpress Workshop and do just that! 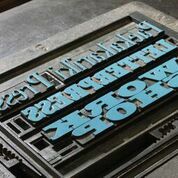 Students will be given an introduction to the traditional printing techniques that have been used for the last five hundred years and will be able to design, typeset and print their own piece of work using wooden and metal type and print it on our 1891 Albion—the model used by William Morris at the Kelmscott Press—or on one of our small platens. 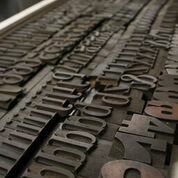 Places on these courses can be booked via EventBite.